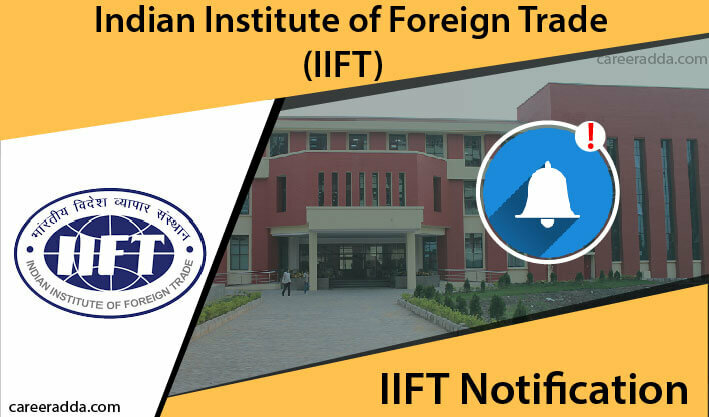 IIFT 2019 Registration, Results : IIFT is the short form for the Indian Institute of Foreign Trade. The institute was established in the year 1963. It is an autonomous body functioning under the Ministry of Commerce & Industry. The purpose of establishing this institute is to contribute to the skill building for the external trade sector of the country. In the year 2002, the institute gained the status of a Deemed University. Over these many years, the institute has developed as the national university with attention to international business management and strategy. In addition to education and training, the institute focuses on research activities as well. IIFT has campuses in Delhi and Kolkata. IIFT offer courses under different categories. However, the MBA in the International Business is the main course offered by the institute. In addition to full-time MBA, the institute also offers weekend MBA in International Business. The other courses offered by the institute are classified under categories like Executive Programmes, certificate programmes, doctoral programmes, off-campus programmes and even corporate training and Foundation Training Programme are offered by the institute. This course is designed by IIFT as the foundation course for developing a competent cadre of business executives for meeting the growing needs of the country to train personnel in the international business field. This two-year course comprises six trimesters. The aim of the course is to offer comprehensive coverage encompassing all the crucial areas and disciplines appropriate to the international business activities. The good thing about this course structure is that the syllabus is framed by IIFT in-line with the syllabus of the best international business schools. For IIFT 2019, the notification calling for application from eligible candidates must have been published by IIFT on the second week of July 2018. However, the notification has been published in the first week of August 2018. To apply to the IIFT 2019 admission process for the MBA full-time course in International Business, applicants must have completed their graduation with at least three-year duration in any discipline. Even, candidates appearing for the qualifying examination are eligible to submit their application. However, their admission is subject to the submission of proof of required qualification before the beginning of October 2019. There is no age limit to apply. The application form will be released along with notification on the official website of the institute. Candidates can find the application form online from the website of the university from 7th August 2018. IIFT 2019 – How To Apply? Candidates will have to visit the website of the university at iift.edu. At this website, candidates will have to click on the appropriate icon that shows admissions 2019. Then, they will have to fill up the online application form as per the details they can find on the website. After submission of online application, the applicants will have to take a print-out of the form and should attach their photograph and should sign in the boxes provided for these purposes and keep with them for further use. They should not need to send the print-out along with the necessary attachment to the institute. Candidates, who have bought the prospectus either from the counter by paying cash or by demand draft, they should fill up the enclosed application form. They should send away the application along with the required documents before the 14th September 2018. Candidates are recommended to retain a photocopy of the completed application and DD. It will help them for future reference. The cost of application form and prospectus is Rs.1550 for General category candidates and Rs.775 for SC/ST/PH candidates. This fee includes the application screening and entrance test fee. Candidates need not have to pay any other fee when they submit the duly filled application to the institute. Candidates from the reserved category like SC/ST/PH and OBC (Non-Creamy layer) candidates will have to attach a photocopy of the appropriate certificate as the proof. The number of questions in each section is not standard. IIFT changes it every year. In the previous year, there were 114 questions in total and in the year prior to last year, there were 123 questions. In the same way, the marking scheme is different for each section every year. However, the total mark remains the same at 100. For incorrect answers, there will be a negative marking of 1/3. IIFT follows the process given below for admission of students both to the Kolkata and to the Delhi Campuses. Students taking up the written test from other areas will have to choose one of the above-mentioned centres for the essay writing, GD and PI sessions. The Institute reserves the right to add or delete any centre if the need arises. Reservation will be on the basis of the government norms. Admission of candidates falling under these categories will be on the basis of the GMAT score only. NRI-sponsored candidates will not be brought under this category. On 16th November 2018, candidates who have applied can visit the website of the IIFT at http://tedu.iift.ac.in/iift/index.php. They can search for the link to the admit card. On the page that opens, they will have to provide the appropriate details that are demanded. Once they provide these details, they can download the admit card from the website of IIFT. For the IIFT MBA (IB) entrance examination that is going to be conducted probably first week of December i.e., 2nd Dec 2018, it is expected that the results for the IIFT 2019 will be declared in the month of January 2019. After the results are out, the scorecard is expected to be out in the first week of January 2019. It is also expected that the further rounds of admission process will happen in the month of February 2019. The final results are expected to be out in the month of April 2019. How To Check IIFT 2019 Results? Candidates, who have appeared for the IIFT MBA (IB) Entrance Test, can check their results from the official website of IIFT. Here, candidates can use the ‘Find’ option to type their name or roll number of IIFT 2019 to find whether they have cleared the test. After the results are out, once the scorecards are out, candidates can provide their digit roll number together with their Date of Birth to download the scorecard. The DOB format is DD/MM/YYYY. After entering the details, candidates will have to click the submit button. The scorecard can be downloaded and printed by candidates for the future reference. Knowing the previous year cut-off of IIFT will help candidates in somewhat judge the cut-off of this year.